Pearl Nolan is the owner of a successful seafood restaurant in the seaside town of Whitstable, situated on the North Kent coast and famous for its oysters. But this isn’t enough for Pearl. Her planned career as a detective in the police force was derailed by an unexpected pregnancy but now that her son is away at university, it’s time to do something about it – so she opens her own detective agency. I’ve broken a cardinal rule with this series. The books in order are The Whitstable Pearl Mystery, Murder On Sea and May Day Murder and if you observantly peruse my blog, you’ll see that I’ve read them in reverse order. I’ll be honest about the reason for book three coming first – the publisher and author asked me to take a look as part of the blog tour and while it looked like it would be a fun read, I figured that at best, it would be a decent enough cosy mystery. 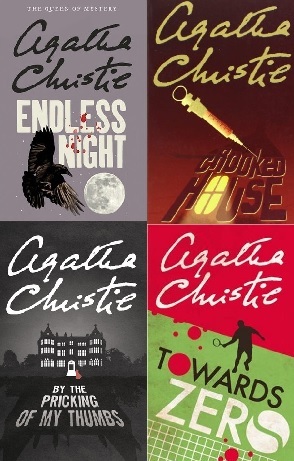 I was wrong about that – it was a damn good cosy mystery with well-constructed characters. The idea of restauranteur/detective may seem odd, but Pearl and her ambitions make sense and it never seems odd once you start reading. Pearl’s relationship with Maguire seemed pretty natural and most important, despite me spotting part of the solution, Julie had me looking the wrong way for the rest of it. I really enjoyed the book, so it made sense to go back to the beginning. And then the publishers sent me book two to take a look at, so the reverse order was sorted. And finally, I’ve got round to the first book, and it’s just as good as the other two. The town of Whitstable is brought to life and the characters are quickly and effectively introduced and, as I mentioned before, the notion of running a restaurant and a detective agency somehow is made to make perfect sense. The background characters shine as well – I certainly found myself concerned about the potential fate of Ruby, Pearl’s waitress, who becomes involved in events. And the mystery is well-plotted and while the clues are more like hints – there’s a fair bit to be guessed at – the solution makes perfect sense, and even though I was fairly sure about one character’s involvement due to having read the next two books, I was still caught out by a plot that is both complex and yet surprising straightforward as well. So if you’re a fan of mysteries that don’t have to be drenched in gore and/or depravity, I strongly point you in the direction of Whitstable. This is the sort of book that I was looking for when I started the blog in the dim and distant past and needless to say, this is Highly Recommended. Looking forward to Book Four. I’m so very pleased you enjoyed my book and I’m thrilled with this review. 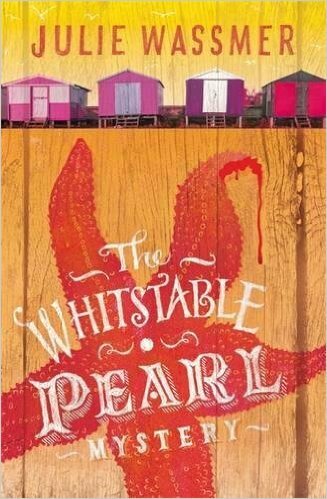 I do hope you enjoy the next Whitstable Pearl Mystery – due out on 6th April and published by Little, Brown Group. Looking forward to it, Julie. Thanks for the timely review, as I’m just about to start on my first novel by Julie Wassmer – I’m just about to pick up my copy of ‘May Day Murders’ I reserved from the local library. 🙂 I’m supposing, from your review, that beginning with book 3 wouldn’t do too much damage…? 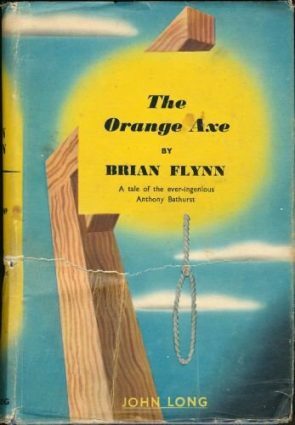 You can certainly read any of my Whitstable Pearl Mystery novels out of chronological order and I do hope you enjoy May Day Murder. For your interest, the television rights have just been snapped up for the series by Buccaneer, the production company that made the crime TV series, Marcella, last year starring Anna Friel. With a bit of luck, the books will appear in a series on TV – with my lovely adopted home town of Whitstable playing a starring role. For more information about the series, here is a link to my author Facebook page: https://www.facebook.com/search/top/?q=julie%20wassmer%20-%20author Kind regards, Julie Wassmer. Julie’s answered the question better than I could but I completely agree. Hope you enjoy the book. Thanks Julie for answering the question, and I’m looking forward to my first foray into the series. 🙂 Congratulations on the prospect of a TV series!